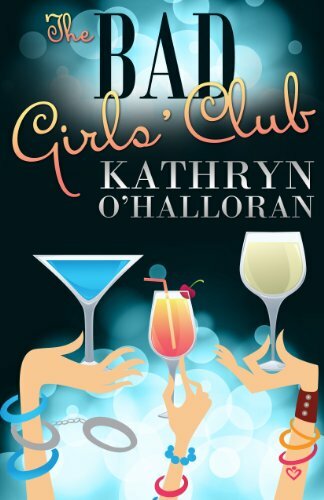 My novel, The Bad Girls' Club, is available for only 99 cents at Amazon until January 11th. If you don't have copy, it's a great time to pick one up but it does contain explicit bits. A year ago, I posted about my writing and my goals for 2015. I just read back through that post and realised I've achieved most of what I set out to do back then. There were a few places were I fell short-- I planned to write and publish six novels but ended up only with five and I'd planned to finish my historical fiction which is still on the back burner, but overall, I did what I set out to do. A year ago, the idea of continuing to write and to travel around the world doing it was just a dream, an idea that had crept into my head as a possibility. A year on and I've spent six months travelling. I don't know when I'll stop except for a visit home. So, how do I do it? I will go into the nitty gritty on how to earn money writing fiction in later posts but the main thing for me this year has been sticking to it. I've had times when I've not been able to write, when it all just seemed to hard, but I've got back to it. It's like toilet training a puppy. You have to lead yourself back to the newspaper, maybe give yourself a smack on the nose now and then but the absolutely most important thing is get back to work. It takes me about 3 or 4 days for work after a break to get back into it so the best option is, of course, not to take a break in the first place. The second best option is do some work. It might not be my best work or my highest word counts, but I have to sit down and do it. Not such a quick and dirty guide after all. It's all about hard work and perseverance. Sure the travelling is fun but there are times, and I mean days at a stretch, where I'm holed up at home or a cafe doing nothing but working. So, what are my plans for 2016? I feel kind of embarrassed saying this but my goal is to earn a consistent 5 figures a month from my writing. To do that, I need to write a release at least one book a month (I am working on a serial so that won't be 12 full length novels), study the market for my work and work on promotion. To me, it's a matter of when, not if, I'll reach this level. I have my travel plans sorted until July. I'd like to stick to the Asia area this year and avoid long flights. I'd also like to diversify my income. Writing is volatile so I've been investigating side incomes. I'd prefer something that doesn't involve writing since I do enough of that. I had investigated ways to monetise my blog but I don't like the idea of being less than honest and transparent. I don't want to write generic travel articles just to get more readers and I don't want to say nice things about product I don't believe in. If I do anything like that, it will be for products I support 100%. So, what dreams did you make come true in 2015? At the beginning of the year, my goal was to write and publish 4 books under my pen before I go overseas in June. That gives me just a bit over a month. So, how am I tracking? The first book is published and selling. Not as well as I'd like but I've not done a lot of promotion. The second book is completed and available for pre-order for a 15th May release. Book three -- I'm about a third through the first draft. I've set a release of 22th June for Amazon. That's a lot of work in a month. I have to finish writing, get the book edited and have it uploaded by 12th June (technical stuff -- because I have a pre-order set for it on Amazon, I have to have the final version uploaded 10 days beforehand or I get penalised). Book four -- I'm thinking of setting the release of this back to later in the year. I could push myself and get it done in he next month as well but I don't want to do a rushed job. The first three books are a series and this one isn't so I'm not so fussed about the release date. Since my travel plans include a few days in KL then a week in Berlin, I'm not going to even plan on doing much until I get to Prague and have a month to balance writing with touristing. I might spend that break getting together my goals for the rest of the year. I've been hitting the financial goal I've set for myself each month but for April, just barely. I think once I've finished this three book series, my sales will increase. 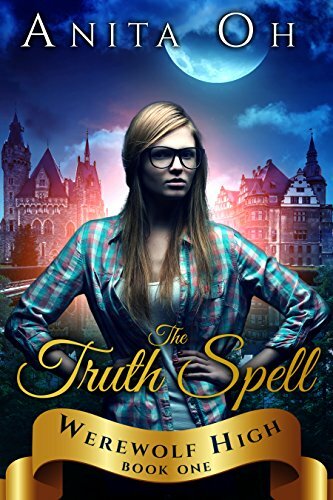 I've got a couple of big promos on the first book when the second is released this month -- no one's going to buy book 2 if they haven't read book 1 after all. -- so hopefully they'll pay off. I have enough money in savings and outstanding royalty payments to support myself until the end of 2015 at least which is reassuring but, of course, I'd rather keep building savings by earning more than I spend. I've released two short stories until my real name. 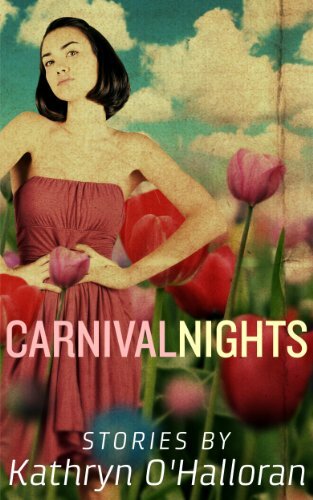 I don't really make much on short stories but I enjoy writing them. Both stories are Japan related: Red and Yobai. February was a fantastic month for me. With the help of big promotion, I finally managed to do something I've dreamt of for a long time, something I once thought would be impossible for me. I don't like to discuss actual money figures but I will break this rule for once. I hit a five figured number for book royalties for the month! I have a new release available on Amazon. It's actually something I started working on quite a while ago and finally got to polish up and release. I have several short stories in the works that are set in Japan but this is the only one which is relatively contemporary. After the earthquake, Tokyo changes for Cherry. She wonders if there is a place for her in this city where her only anchors are the old man with a dubious past who owns the bar where she works, nights of karaoke and love hotels and the Sky Tree that looms over her dreams. If you are part of the Kindle Unlimited program, you can borrow it for free. Otherwise, it's just 99 cents. I don't really write much about my writing here. I'm not sure if it's the whole "writing process" is that interesting to anyone but I thought it might be nice to start doing something like a quarterly update on how things are going. I finished my last work contract in January this year with enough savings to support myself for a while. I had plans to travel Europe in the middle of the year and figured if I could make enough money to support myself on a daily basis, I'd be able to write full time and using my savings for travel. Just to break things done, I wrote a romance series under a pen name and that has earned me about 96% of my writing income this year. I released the first book in the series in November 2013, the second in March and the final book in July. I've not released anything under my own name this year. My benchmark for earning a survival living is what you'd get on the dole here in Australia, which is about $300 a week. In the first quarter of the year I was earning nothing near that amount but have well exceeded it in the final quarter. During the year, there have been two events that have caused a huge jump in my earnings - the first was releasing the final book in the series and offering book one free as a loss leader to get people hooked on the series. When I did that, my earnings shot up to "more than the dole" level. The second big jump happened when I stopped selling books exclusively through Amazon and distributed to other major sales channels like Apple. While Amazon is still the big player and offers benefits if you sell exclusively with them, I've found my sales much higher elsewhere. Currently, around 85% of my income is from Apple. I'm still not earning what I did in my day job but hey, I was an IT contractor so the benchmark is fairly high. I figure even earning 75% of that amount is good. Based on working a 7.5 hour day which is standard in Australia, if you take into account an hour commute each way + lunch break + time spent preparing for work, that 7.5 hours blows out to 11 hours a day. That in itself is worth a cut in overall pay. Plus, working from home, I don't have to deal with a stinky, noisy overcrowded commute, trying to please a boss, dealing with people or working to someone else's schedule. I don't like putting actual sales numbers up on the Internet but I'm pretty happy with the amount of money I'm making at the moment. I feel like I'm not even scraping the potential of what I could earn. I took things pretty easy this year. I had 6 weeks holiday in Europe and 2 weeks in Japan. I didn't write all day, every day. Finishing and releasing the historical fiction book I'm writing under my own name. This keeps getting put on the back burner in favour of projects that I know will have a better rate of return. Also polishing off and releasing a bunch of short stories I have on my computer. Short stories don't sell all that well but I have them written so I should do something with them. While they are varied, the uniting factor is that they are set in Japan so might be good to put in a series and tied them into the release of the abovementioned novel. Write 6 novels under my pen name. I managed 3 this year without pushing myself too hard and definitely think this is doable. Another thought has been buzzing around in my head. Since I'm moving in with my mum for three months or so, instead of moving back to Melbourne after that, I might set off travelling. I can write anywhere and I have no geographic dependence. So long as I have my laptop and an Internet connection, I can work anywhere. Of course, that is reliant on maintaining or increasing my writing income. Overall, I'm extremely happy about where my life is at the moment. I can see a lot of hard work in the year ahead, because writing is damn hard, but I have a fantastic lifestyle now on my own terms. I can work in my pyjamas, take a 'playing with Gemma-dog' break in the middle of the day, travel the world and have people actually read my books. Has anyone been to Slovenia? Apparently I sell a lot of books there and it looks awfully pretty.